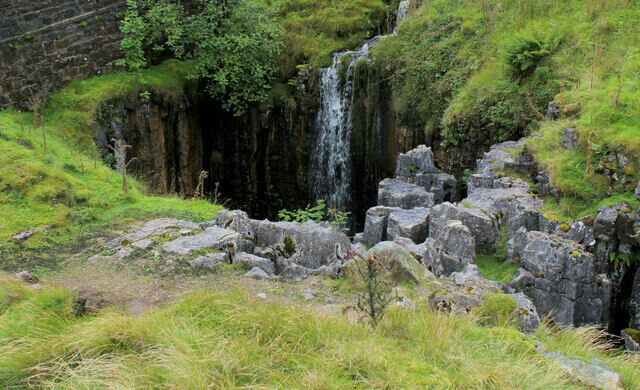 With a summit of around 1,725 feet, Buttertubs Pass is not the highest mountain pass in England, but the drive is not for the faint-hearted. 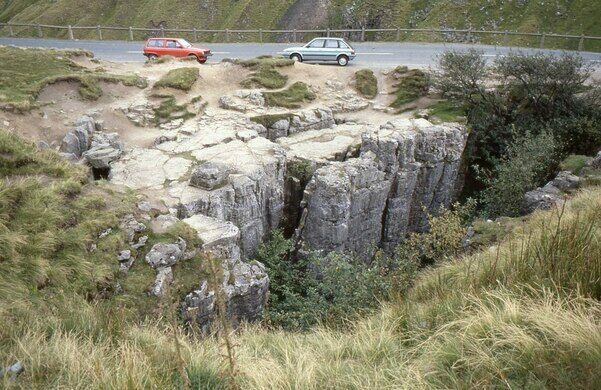 The road is very narrow with sheer drops on either side. 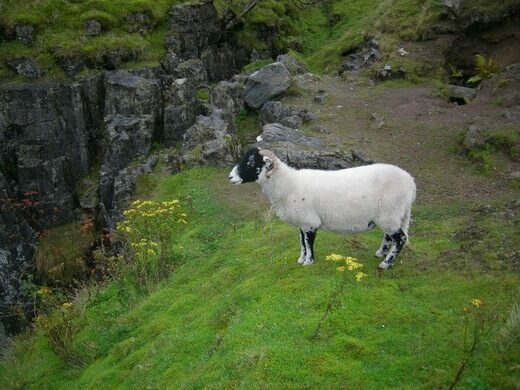 It runs over beautiful wild moorland, providing awesome views over the spectacular Yorkshire Dales. 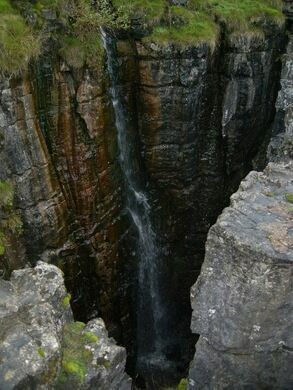 The pass is named after the 65-foot-deep limestone potholes just off the road near the summit. 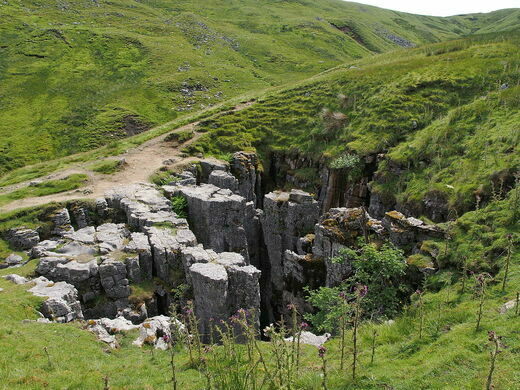 It is said that farmers would store their butter in these natural holes on hot days on their way to and from the market. Or perhaps the holes just look like butter tubs! There is a convenient stopping place near the summit, which not only offers some impressive vistas but also an up-close view into the tubs themselves. In wet weather, water cascades into the tubs and they do make a curious sight. 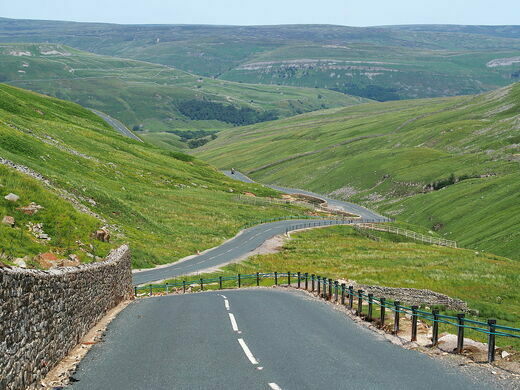 Running between Hawes in Wensleydale and Thwaite in Swaledale, the pass is also a popular cycle route and formed part of the Grand Depart of the Tour de France when it came to Yorkshire in 2014. 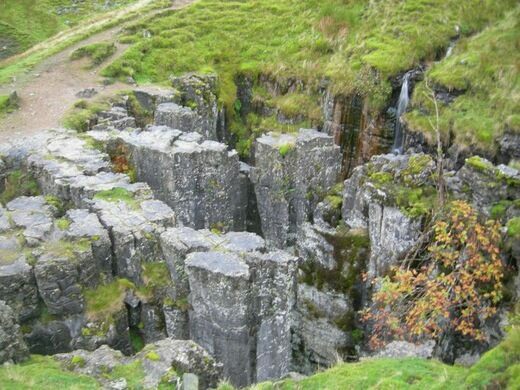 The Buttertubs Pass runs between the towns of Hawes and Thwaite in the Yorkshire Dales. The map coordinates above point to the pull-off near the summit where you can see the "buttertub" rocks. A winding medieval path used by mourners to carry their dead to the nearest church. The dramatic remains of an abandoned farmhouse sit high on the edge of a remote hillside. A spectacular disused railway viaduct in a beautiful countryside nature reserve. A modern English garden of eccentric beasts, follies, and oddities.